When I eat a cassoulet, I travel instantaneously to the South of France. I’m with the family of my husband, we are eating, speaking, laughing and shouting at the same time. The sun shines and life is wonderful. 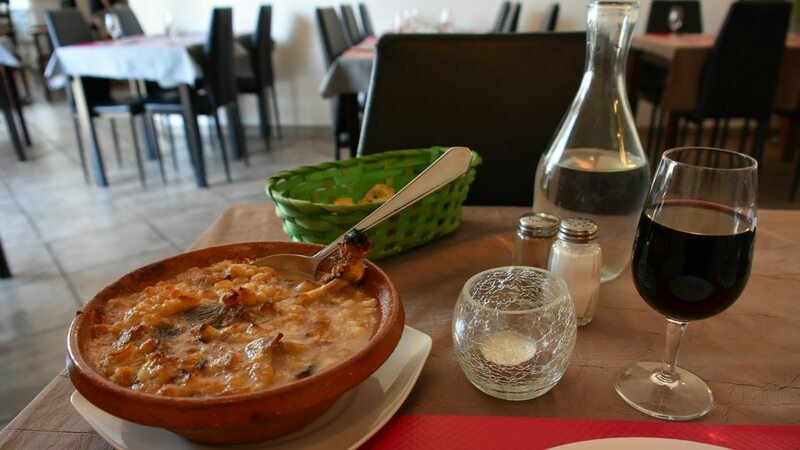 It is a typical dish of Languedoc and the speciality of Castelnaudary near Toulouse. The recipe from Toulouse contains white beans, pork, duck confit (or sometimes goose confit), garlic, and sausage. Sometimes a breadcrumb coating is added. I know that I eat more than 500 calories in one time but it’s worth it! The dish comprises as much as protein as fat, and carbohydrates play a big part, but the vitamins and minerals will help me to survive the winter. But don’t misunderstand me, even if cassoulet is rich, it’s a one-dish meal considered far more balanced than a lot of other dishes! The principal ingredient is French white beans. Two varieties are higly recommanded because of their thin skin (they capture more the taste of the meat) and their digestibility: the Lingots du Lauragais or the Tarbais beans. During the siege of Castelnaudary during the Hundred Years War, the inhabitants gathered all they had to make a dish, and the cassoulet was born. At that time broad beans were the base of the dish. 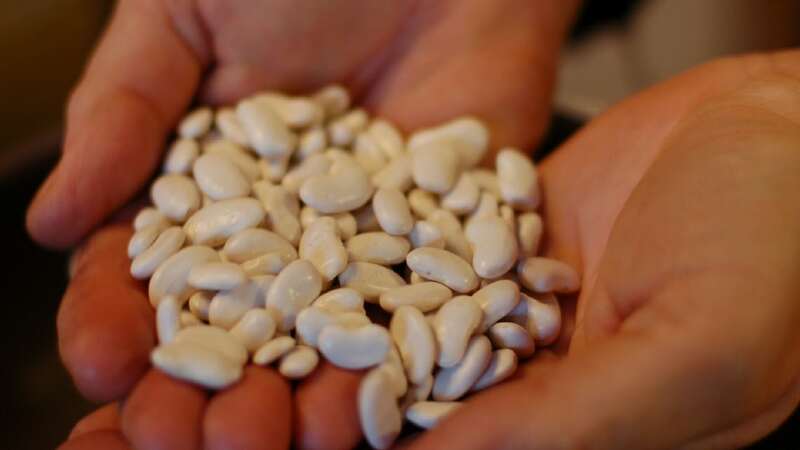 White beans, brought in Europe by Christopher Colombus, replaced them in the sixteenth century. And its name? The cassoulet is cooked in the oven in the ‘cassole’ a terra cota plate perfectly designed to cook the cassoulet very slowly. The perfect time to enjoy cassoulet with the locals is during the cassoulet festival of Castelnaudary at the end of August. It reminds also of the time of harvest during which it was regularly eaten in the old days. Anyway, it has to be eaten with other people! I have never tried to to cook a cassoulet myself because it takes a very long time: several hours, up to nine hours according to some recipes! It is a very good example of ‘slow food’. From soaking the beans, blanching them, cook them in a bouillon, cooking the meat before the oven cooking…it all takes time. So I enjoy the dish, which cooked someone of the family, or I open a can or a jar from the most known cassoulet trademark: la belle Chaurienne or from another traditional brand. Then I cook the contents in the oven to have more taste. The dish looks more or less like a real cassoulet but I don’t enjoy the delicious smell all over my house and the taste is not so intense. Another option in France is to order fresh cassoulet in a delicatessen or at a stand in a traditional market in the South West. Or even on the web. Obviously I drink red wine with cassoulet. Some young wine of the same region like Bergerac, Fronton, Madiran, Corbières, Gaillac, Irouléguy…but a Bordeaux would also be appropriate . Last but not least, I discovered recently that cassoulet was the new fashion dish in the USA: the New York Times, New Yorker and New York Post newspapers have recently published articles about it. You can also order it in various restaurants in New York! Maybe it’s not the traditional recipe but the cassoulet spirit is there. For them it’s a chic stew (Sam Sifton in Liberation,) and a cassoulet event even takes place in January. “Cassoulet is trendy,” says Jimmy Carbone. “It’s the new ramen.” (New York Post). A big difference between France and the US: in France we celebrate the recipe, as if it was unique and in the US they consider cassoulet a very adaptable dish (Cathy Erway , New York Post) and also propose a vegan version. The funniest is the following: cassoulet was born again after a joke from a French TV team: they waved a banner with the word ‘cassoulet’ written in blue capital letters during the Obama election night in 2008 and everyone wondered what cassoulet could mean! Now even the Japanese want to have cassoulet and some have visited France just on the basis of that subject!